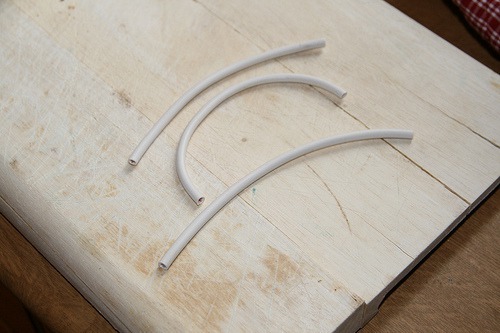 I recently found about 40 meters of electrical cables in the trash at work. 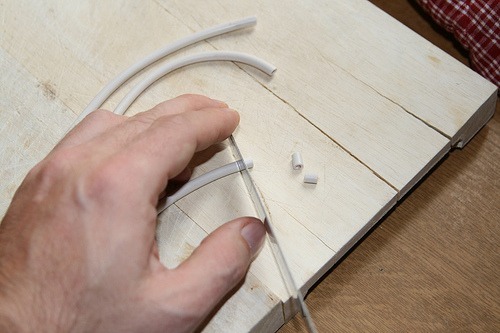 It’s threaded with 4-7 strands of solid core wire which I needed for a DIY project (to be revealed soon), and I ended up with quite alot of white plastic tubing that I really didn’t want to throw out. 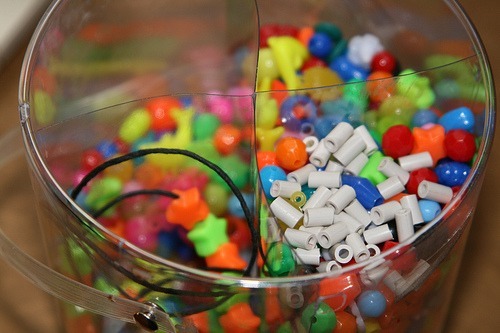 So I simply cut them up into beads, and mixed them into our little art supply box. … then upcycle them into lemonade! 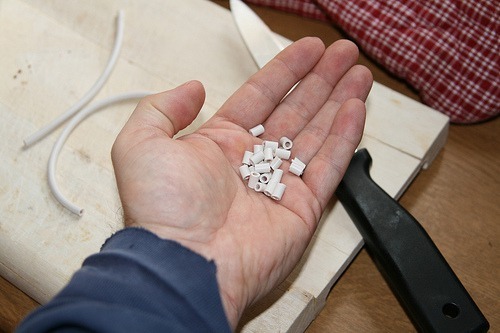 No, beads! These are telephone wires I believe. My kids seem to never tire of making necklaces. I’m looking forward to seeing them incorporate some free, upcycled, environmentally friendly beads as well.